What a difference a few months makes! Not too long ago, the market looked like a calm sea, with a gently rising tide. Then it turned into a storm; its waves cresting on Christmas Eve. What has changed? Trade tensions, an end to the easy money era of the Fed, political uncertainty, troubles in China, Brexit, these were all known factors before financial markets decided to care. Beware the nature of investing, we would be well served to remember. In the Spring of 2017, Jamie Dimon, the CEO of J.P. Morgan Chase, remarked that the administration’s economic agenda had “woken up the animal spirits.” And he was right. The market rally that took hold after the election became known as The Trump Rally. Unsurprisingly, the president was happy to lend the rally his name, free of charge. This rally now seems to have come to an end. Hindsight is 2020 – and here comes the “but” – but it never felt quite sustainable. That it ended the way of Trump University, Trump Steakhouse, Atlantic City etc., shouldn’t come as a complete surprise. We know the brand to have a certain amount of hype embedded in it, that sometimes leaves the customer, the investor, and other stakeholders with buyer’s remorse. To be sure, stock market returns come from both growth in the businesses comprising the real economy and investors’ perceptions of the state of affairs, which range from sclerotic to exuberant. It’s the latter that provided the octane for the Trump Rally. Of course, it is impossible to neatly break out the stock market returns into its “real economy” and “perception” components. Therefore, investors are better off focusing on other things, such as long-term projections of investment returns that exceed election cycles. That the rally came to an end, should not be a cause for celebration, irrespective of one’s political views. When markets go down, investors feel anxious. Though it is absolutely true that lower stock prices provide better entry points for future gains, it is also true that investors worry about their retirement and other financial goals. Furthermore, it is during bouts of volatility that investors are most likely to engage in emotion driven market timing, which is the main reason investor returns tend to lag market returns. Any investment advisor worth her or his stripes should embrace the role of coach just as much as the role of money manager. After all, investing is less about the complexity of financial markets – as Wall Street would have you believe – and more about providing objective advice and helping investors avoid mistakes. 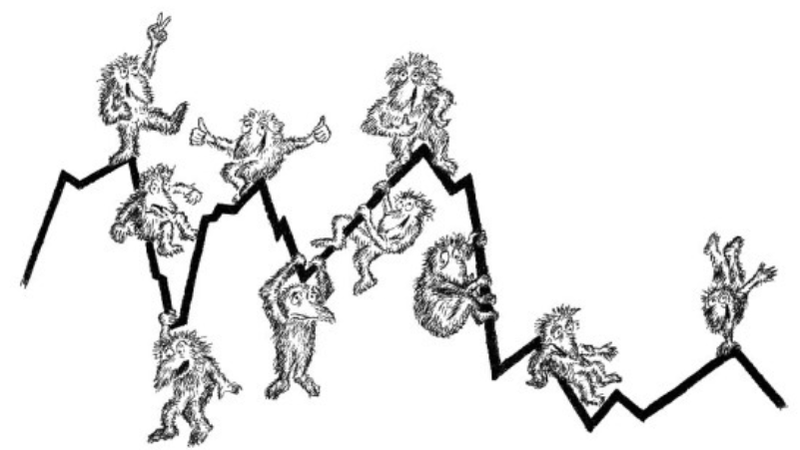 Now, whatever the cause of the selloff, it is not an unusual occurrence; if an infrequent one. Context helps. During 33 of the last 40 years, the broad U.S. stock market delivered a positive return. In recent times, the market saw an intra-year decline of 20% during the summer of 2011 and a 10% decline in the beginning of 2016. In both those years the market delivered a positive return. On the days leading up to and including Christmas Eve of this year, the Grinch was a looming presence on Wall Street, pouring cold water on any hopes of a Christmas Rally. Then the very next trading day, the Dow Jones Industrial Average saw its largest point gain ever, closing up 1,086 point or 5%. Bad news flows constantly, as we can all attest to. Yet, the temptation persists to correlate the bad news of the day with financial markets when they turn sour. The reality is more complex, however. Perhaps too complex for humans to fully comprehend or for humans to program computers to comprehend. The good news is that understanding market moves after they have happened, let alone predicting them before they happen, are not necessary ingredients for being a successful investor. PG&E Returns to Bankruptcy. 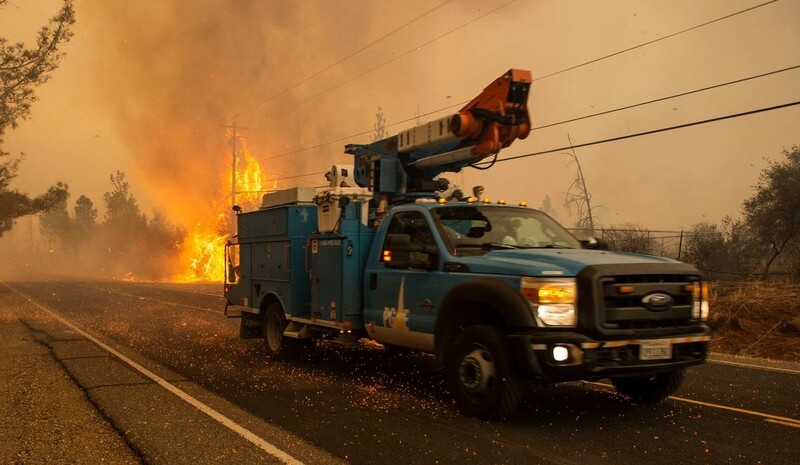 When I read that California utility PG&E, by its own admission, had been the cause of more than 1,500 fires between 2014 and 2017, I had to do a double take. Fifteen hundred?! And that does not include the disastrous and tragic 2018 fire season. Its plan to file for bankruptcy makes complete sense. Analysts estimate the potential liabilities faced by the company to be as high as $30 billion. But who really knows? It is not unreasonable to assume that the liabilities far exceed the enterprise value of the company. Politically it would appear untenable to stick the ratepayers with the bill, nor would it make sense to let PG&E implode, as we do need electricity in this part of the state. So, the most likely victims of a bankruptcy are the stockholders – as they often are – the bondholders, and the creditors. Employees and taxpayers are possibly not far behind. Is PG&E an early victim of climate change? While it is tempting to answer “yes,” I want to be careful not to make the same logical fallacy that is often made by climate change skeptics and be mindful of the difference between climate and weather. As a refresher: a cold day in Washington DC is weather related, as would be a cold winter, or even a number of cold winters in a row. A gradual warming of the earth is climate related, leading to an increased frequency of mild winters and hot summers. Having said that, it is clear that drier and hotter summers in the Western United States lead to more fires and increased tree mortality, which further raises the fire risk. It is also clear that climate change will lead to a higher frequency of such summers, as well as more prolonged droughts. So, in some respects, PG&E is the canary in the coalmine; an example of what could happen to certain companies as a result of climate change. When it becomes increasingly clear that the culprit of increased droughts, floods, hurricanes, and fires, is the climate and not the weather, one would not want to be left holding the bag, which makes it imperative to assess climate risk as an investor. I am cautiously optimistic about 2019. Asset prices are more reasonable and there is the potential that not every worst-case scenario will come to pass with regards to trade, China, Brexit, even US politics. If the markets were still ignoring these risks, I would have a harder time seeing the glass as half full. But even if 2019 disappoints, our clients’ dreams and goals are as alive and bright as ever and we look forward to doing our bit to optimize the financial aspects of those goals and aspirations. Greetings from a rainy and cold Northern California. It’s the weather, thankfully not the climate.